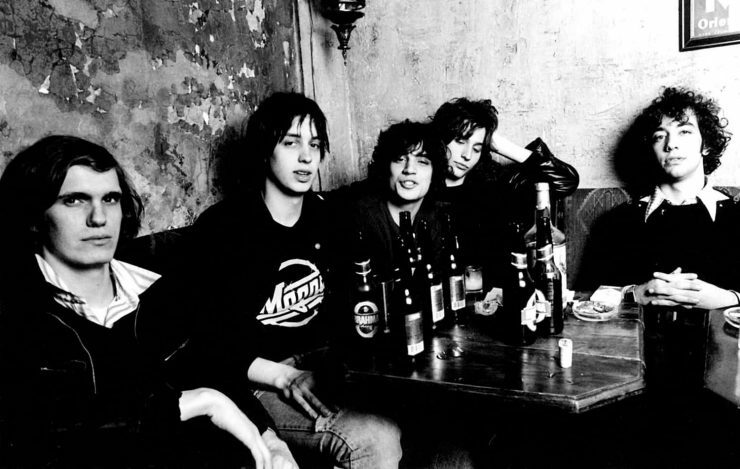 Could this year’s Glastonbury Festival finally see The Strokes head down to Worthy Farm? The Strokes may be one of the most heavily rumoured bands out there right now to play this year’s Glastonbury Festival. This rumour started gaining some serious ground after BBC Radio 1’s Nick Grimshaw claimed on his Breakfast Show (January 10th) not once, but twice that he had been told there’s: “a vicious rumour that The Strokes are playing Glastonbury this year”. The American band are currently set to play Spanish festival Bilbao BBK Live on 12-14th July, which will mark their first gig in over two years. Although Glastonbury does take place two weeks prior to The Strokes‘ Spanish festival gigs, a representative of the band told the NME back in December that more European festival dates are due to be added to their ‘global comeback’ in the coming weeks and months. Somehow The Strokes have never headlined or let alone featured on the bill at the iconic Somerset festival. With their new album and the follow-up to Comedown Machine reported to not be out until 2019, surely that could put the New York band in a pretty good position for headlining or at least making a cheeky Other Stage headline appearance?